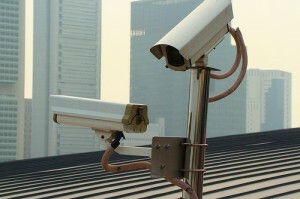 Should you hire a Professional Security System Installation Company in Boca Raton, Fl? For most home owners, home security and safety is a major concern, so it is really no surprise that during this time of economic uncertainty and rising crime rates all over the country, the home security industry is booming. It is true that technology has made protecting your home much easier. 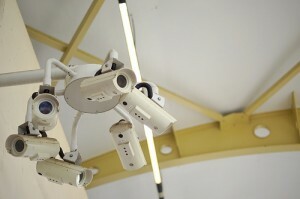 Home security systems are much smarter and more user-friendly than ever before. However, just how much security do you need and how much should you pay. Should you hire a professional security system installation company Boca Raton Florida, or should you do the work yourself? The short answer to the last question is yes. By hiring a professional to do the job, you can rest easy that everything is done right and your home and family is safe. Boca Raton security system installation companies have the knowledge and experience to make sure every inch of the property is covered and are even on hand after the fact to ensure the system continues to run smoothly. As for how much security you need or how much you should spend, that depends. Services, costs and benefits vary from company to company, but ideally, you want the most affordable security system installation services Boca Raton, Florida that offers as many security benefits as possible. What makes Boca Raton Security System installation Services Worth While? First and foremost, just the presence of a home security system is often enough to deter would-be burglars from even attempting to break into your home. A recent study conducted by Rutgers University found that crime actually decreased in residential areas where security systems were installed. Choosing Boca Raton security system installation services to do the job right will make your home less attractive to burglars. Peace of mind is a powerful benefit that sometimes overrides the cost factor for some home owners. In addition, many of today’s security systems offer a variety of flexible, high-tech features that make it possible to address issues beyond just breaking and entering. Many security systems have smartphone apps that allow users to view cameras on the property when they are away from home, know when their kids arrive home safely, warn of fire or carbon monoxide dangers or even alert you of plumbing problems when you’re away. Specific systems vary by prices and company, but many include a combination of door and window contacts, motion sensors and cameras that all connect back to a central alarm device with a keypad control. When one of these devices is triggered, an in-home alarm is sounded and an alert goes out to the security company. If the alarm is not deactivated by someone at the in-house keypad, the security company will dispatch the police to the residence to investigate. You will also receive a call from the company notifying you of the alarm and the nature of the issue. Other features such as flood detection may also be added. A reputable security system installation company in Boca Raton, Florida will work with you throughout the installation process to develop the protection and detection details and contacts for emergency situations. The Internet is full of security companies that are willing to provide you with home security packages that may or may not meet your needs. However, if you are looking for the best security system installation company in Boca Raton, Florida, look no further than TechPro Security. Techpro Security is one of the most affordable security system installation services in Boca Raton, Florida, and their experience and expertise is unmatched by any other. Services begin with a free consultation that includes an on-site evaluation of theproperty and recommendations for a customized security plan. If the suggestions meet your needs, an appointment is scheduled for installation. After installation, TechPro connects a DVR to your security system and configure your wireless network to enable you to access the security system from anywhere via a smartphone app. Lastly, TechPro will take the time to train you on using your new security system. Making sure you understand the features and are able to use them quickly and easily is something very important, and the technicians will not leave until you are comfortable using your new security system.